Whether you’re looking for golf vacations, a chance to relax, or even adrenaline filled Cabo adventures, Los Cabos is the place for you. The weather in Cabo San Lucas is gorgeous all year ’round, so escape the snow and rain back home and come on down for a visit. 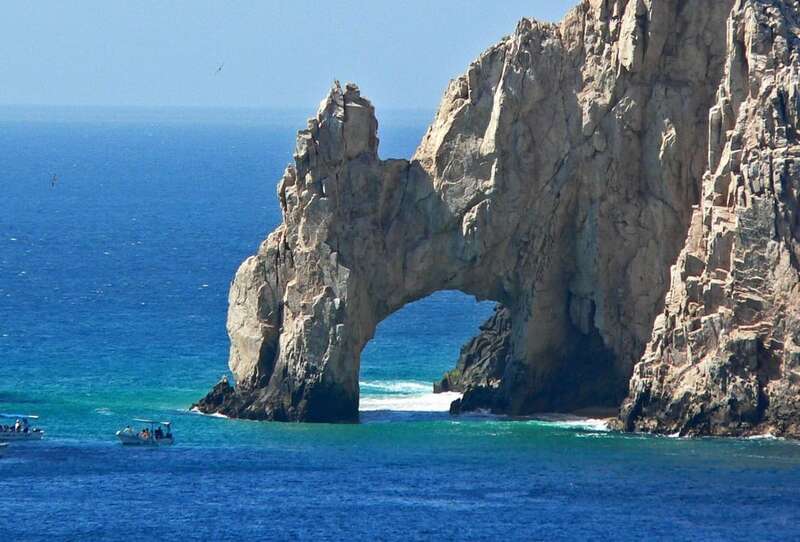 With such an incredible variety of Things to do in Cabo San Lucas, you’ll be sure to return again and again. Every year new activities appear, to keep the tourists and locals entertained. With an average rainfall of 10 Inches, plus 355 days of sunshine a year, Los Cabos offers visitors near perfect weather all year round. Sure, the summer months are a little hot for some, however with a huge array of water based activities to help you cool off. An average daytime temperature of around 80F during the winter months, Los Cabos has become the perfect escape from the snow and rain back home. No wonder tourists flock to the area year round. The area became well known in the 60s and 70s due to its excellent Sportfishing and things haven’t changed. Fishing is still incredibly popular here in Los Cabos, with several world class tournaments, including Bisbee Black & Blue, Bisbee Offshore and the Western Outdoor News Tuna Jackpot being held each year, where prize money exceeds the $1M mark. The restaurants like to serve it fresh, and many restaurants will happily prepare the fish you landed that day. With a host of both on shore and off activities, whether you’re looking for the super relaxed, or the super extreme vacation, there’s plenty for everyone to do. Offering such an amazing array of hotels, resorts and Rental Properties, Los Cabos has the perfect locations for travelers on any budget. Just a short plane ride from Los Angeles (and the rest of continental USA), the Hollywood Stars and Starlets can be found regularly taking a break from their hectic lives and visiting Los Cabos. A huge majority of our tourists are “repeat offenders” and it’s no wonder why they keep coming back. Apart from the consistently good weather in Cabo, Los Cabos offers a huge variety of activities to keep people of any age entertained. With our World famous Night Life, an excellent variety of things to do with kids, perfect places to do nothing more than relax, Los Cabos is the perfect place for any Vacation. Where the desert meets the sea, at the southernmost tip of the Baja Peninsula, you will be made feel welcome. Whether it be a relaxing get away, or an action packed vacation you’re looking for, Los Cabos is the place for you. Los Cabos region has, over a very short period of time, become one of the world’s leading golf destinations. With a myriad of designers, creating courses in an area with such breathtaking scenery, it’s no wonder more people every year are choosing Los Cabos as the location for their golf vacations. Los Cabos has been host to several PGA events over the years, including four PGA Senior Slam events, with many other tournaments being played here every year. Designers such as Jack Nicklaus, Greg Norman, Robert Trent Jones II, Dye Designs, Tom Fazio, Tom Weiskopf, among others have created some spectacular courses, offering a challenge for every skill level. There are currently 14 courses operational in the area, with additional courses planned or under development. With a mix of both public and private courses, there is an option for every golfer. Escape the snow and rain back home and join us here in Cabo San Lucas for a golf vacation you will lever forget. Spent the day playing Palmilla on my latest trip to Cabo San Lucas. The design and flow of this course was excellent and the service provided by the staff was second to none. Good Job. Acabamos de terminar una semana de Golf en Los Cabos, organizado por Cabo Golf Deals. Nos ayudaron en conseguir buenas Tee Times y excelente transportación para nuestro grupo de 16 personas. Fue la primera vez en que hemos ido a Los Cabos a jugar, y por cierto no sera lo ultimo. Gracias a Ash y su equipo, el viaje fue fácil y un éxito. Cabo Real has always been one of my favorite courses in Cabo. I have always been bit of a glutton for punishment when it comes to golf, and this course certainly has the ability to dish it out. A great design, offering gorgeous ocean views throughout, with drop away cliffs that will certainly eat your ball if you let it. My recommendation is to play the right Tees for your skill level if you really want to enjoy it. Thanks Ash for setting us up during our week long golf trip! Have a Question, please drop us a line any time. Copyright © 2017 Cabo Golf Deals. All rights reserved.